CALGARY, ALBERTA, Big Rock Brewery Inc. (TSX: BR) (“Big Rock” or “the Corporation”) today announced its financial results for the three and nine months ended September 30, 2018.
achieved funds flow from operations of $1,587 thousand, compared to $556 thousand. achieved funds flow from operations of $2,778 thousand, compared to $1,625 thousand. The Canadian beer industry continues to be highly competitive, with numerous new craft breweries entering the marketplace. Despite competitive pressures, Big Rock’s reported results for the three and nine months ended September 30, 2018 improved over the comparative periods in 2017. The Corporation increased its sales volumes in third quarter of 2018 (versus the third quarter of 2017), primarily due to a transition and rationalization of value streams undertaken throughout 2018. Despite the discontinuation of select brands in 2018, contract brewing has more than fulfilled those discontinued sales volumes with the Corporation’s third quarter sales volumes up approximately 7% versus the third quarter of 2017 and roughly flat year-to-date. Additionally, gross profit margin improved in the third quarter and the nine months ended September 30, 2018 to 45% and 43% compared to 43% and 42% reported in the third quarter and nine months ended September 30, 2017. These improvements reflect the impact of pricing adjustments that were introduced in Alberta in late 2017 and in other regions during the first quarter of 2018 as well as improved Alberta net mark-up rates on beer and cider and increased operational cost efficiencies. The Corporation continues to search for initiatives that will improve its asset utilization at its British Columbia (“BC”) and Ontario breweries. In April 2018, Big Rock announced it had entered into an agreement to form a contractual joint venture with Fireweed Brewing Corp. (“Fireweed”), to operate and manage the Vancouver brewery. However, certain closing conditions of the arrangement could not be satisfied. As a result, Big Rock announced on July 23, 2018 and subsequently closed on October 18, 2018 an amended transaction with Fireweed, to acquire certain brewing assets and inventory related to branded beer and cider for a gross purchase price approximately $670,000, less amounts owed by Fireweed to Big Rock. Subsequently, at closing, the parties entered into a license agreement by which Fireweed granted Big Rock exclusive rights to Fireweed’s trademarks and other intellectual property with an option to purchase the intellectual property outright. Additionally, at closing, the parties entered into contract manufacturing agreements which permits Big Rock to exclusively manufacture all of Fireweed’s branded products in BC and Alberta for a predetermined, volume-based fee. The amended transaction allows Big Rock to increase its production capacity and utilization at the Vancouver brewery. In June 2018, an Alberta Trade Review panel ordered that the ASBD grant program be repealed or revised within six months, as it was found to place beer producers from other provinces at a competitive disadvantage in the Alberta market. Big Rock continues to work with the Alberta Government with the objective of drafting policy changes that will effectively stimulate the craft beer industry in the province. The impact of this impending regulatory change cannot currently be estimated, however, Big Rock anticipates the final result to be announced in November 2018. 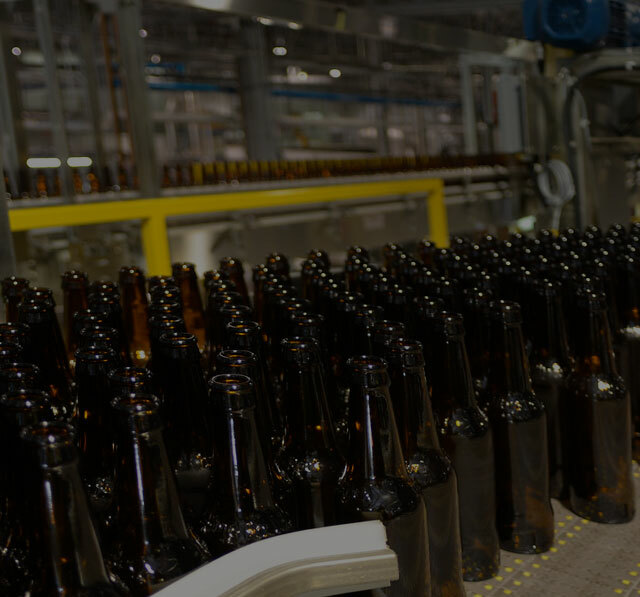 The unaudited consolidated financial statements and Management’s Discussion and Analysis for the three and nine months ended September 30, 2018, dated November 1, 2018 can be viewed on Big Rock’s website at www.bigrockbeer.com and on SEDAR at www.sedar.com under Big Rock Brewery Inc.
Certain statements contained in this news release constitute forward-looking statements. These statements relate to future events or Big Rock’s future performance. All statements, other than statements of historical fact, may be forward-looking statements. Forward-looking information are not facts, but only predictions and generally can be identified by the use of statements that include words or phrases such as, “anticipate”, “believe”, “continue”, “could”, “estimate”, “expect”, “intend”, “likely” “may”, “project”, “predict”, “propose”, “potential”, “might”, “plan”, “seek”, “should”, “targeting”, “will”, and similar expressions. These statements involve known and unknown risks, uncertainties and other factors that may cause actual results or events to differ materially from those anticipated in such forward-looking statements. Big Rock believes that the expectations reflected in those forward-looking statements are reasonable but no assurance can be given that these expectations will prove to be correct and such forward-looking statements included in this news release should not be unduly relied upon by investors as actual results may vary materially from such forward-looking statements. These statements speak only as of the date of this news release and are expressly qualified, in their entirety, by this cautionary statement. the expectation the Corporation will have adequate sources of funding to finance the Corporation’s operations. the Corporation’s acquisition of brewing assets and inventory from a BC brewer will improve the utilization of the Corporation’s Vancouver brewery. the inability to continue to grow demand for Big Rock’s products. The term “earnings before interest, taxes, depreciation and amortization” (EBITDA) is not a recognized measure under GAAP and may not be comparable to that reported by other companies. EBITDA is calculated by adding back to net income, interest, income taxes and depreciation and amortization. Management uses this measure to evaluate the Corporation’s operating results. A reconciliation of EBITDA to net income (loss), the nearest GAAP measure, is contained under the section “Liquidity and Capital Resources – Capital Strategy” in the Corporation’s Management’s Discussion and Analysis for the three and nine months ended September 30, 2018, dated November 1, 2018, which can be viewed on Big Rock’s website at www.bigrockbeer.com and on SEDAR at www.sedar.com under Big Rock Brewery Inc.